You don’t need to be a millionaire to buy a Mercedes-Benz—consider buying a pre-owned one instead. Though these cars have been used before, they still offer the performance, luxury, and safety that the brand is known for. 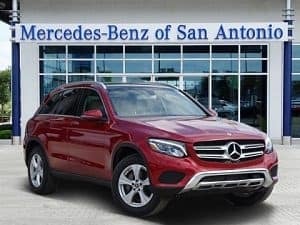 Before purchasing a used Mercedes-Benz, you should conduct a thorough inspection to ensure the car provides the quality and value you’re paying for. Use this guide to conduct the examination. With all cars, the most essential pieces lie under the hood. There are a few main areas of the engine where you should focus your attention. Belts and Hoses: Examine the rubber hoses that connect the numerous parts of the engine. When in good condition, the hoses should be firm and supple, and the belts should not be frayed. Fluids: Leaks in the engine are a sure sign that the car has not been well taken care of in the past. Make sure there aren’t any oil, antifreeze, or transmission fluid leaks. Battery: Most car batteries have indicators built in that show the charge level. Green means the battery is in good condition. Yellow or black charge levels mean the battery must be replaced. Radiator: Inspect the radiator for leaks. The coolant inside the radiator should be orange or green. 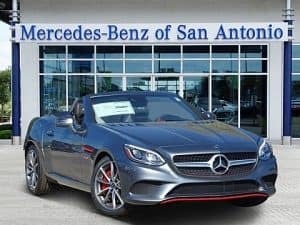 Before buying a pre-owned Mercedes-Benz for sale in San Antonio, TX, take a look under the car as well. Look at where the car was parked and see if there are any pools of liquid in the spot. These puddles could be gasoline, oil, transmission fluid, or coolant. Also, check for residue in the tailpipe. It should be dry and dark gray. If the residue is black and greasy, it indicates burnt oil. You should also look under the car for signs of past accidents like visible dents and kinks in the floor pan or fuel tank. You don’t want the first thing you do with your new car to be performing costly repairs. Check the exterior of the certified used Mercedes-Benz for cosmetic damage like dents, scratches, and rust. Along with the body of the vehicle, confirm front and rear suspensions are in good shape, the glass isn’t chipped, the tires aren’t worn, and the lights and reflectors work correctly. When you first enter the car, see if you notice any moldy or mildew odor. Sit in the seats. Are there any tears in the upholstery? Are you comfortable? Examine the roof, pedals, controls, and sound system, too. The Mercedes-Benz brand is synonymous with comfort and luxury, so you must ensure the interior of your pre-owned car meets those standards. It should exude lavishness and exclusivity. A used Mercedes-Benz should still have all the things you love about the company and its cars.